“Must we pray to express our faith?” asks author and editor Zackheim (The Bone Weaver) in the introduction to this collection of essays. 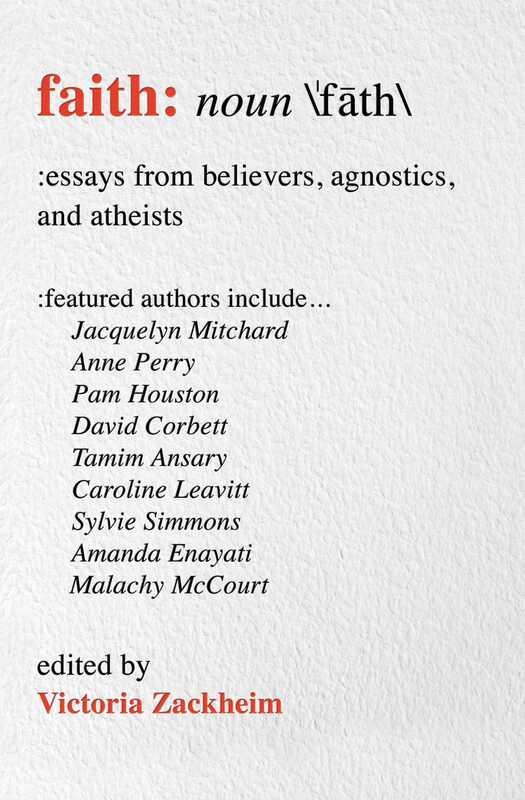 “And must faith always be tied to God?” A diverse selection of writers offer an equally diverse set of views on those questions, with responses ranging from comedian David Misch’s argument for reason and responsibility over spirituality, to Rabbi Frank Dabba Smith’s case for interfaith collaboration as a humanitarian alternative to fascism and strife. Despite the wide variety of the writers’ perspectives, some common ideas emerge. Many of the writings, especially those on the loss or rediscovery of faith, concern the difference between faith as it is taught by organized religions and as it is experienced in everyday life; believers and nonbelievers alike caution against the dehumanization that is a consequence of dogmatism. The strongest tests of faith recounted here come in the face of tragedy: incurable illness, brutality, and death leave no recourse but transformative grace, whether human or divine." "Questions of faith can ignite a conversation or stop it cold, depending on the beliefs of those conversing. Editor Zackheim (author, editor, playwright; The Bone Weaver) opens a Pandora's box when she asks fellow writer friends to answer a question we all consider at some point in life: What do I believe? Twenty-three personal essays later, Zackheim presents a distinct collection that is honest, thought provoking, outrageous, and endearing. Best-selling author Anne Perry expresses her contemplative journey steeped in faith, while the equally prolific Jacquelyn Mitchard apologetically explains why she remains an atheist. Malachy McCourt has no regrets for his disbelief in his self-proclaimed "anti-religion rant," as Dianne Rinehart writes a mini-manifesto against robotic love. This multifaceted collection is not meant to sway nonbelievers nor to champion those of faith; it is a refreshing reminder that we are free to choose our own path. VERDICT Short, accessible essays for readers with an interest in cultural studies, theology, psychology, and personal writings."